Function and style. Patch leather handbag in black is stylish and sophisticated, but perfect for everyday use. 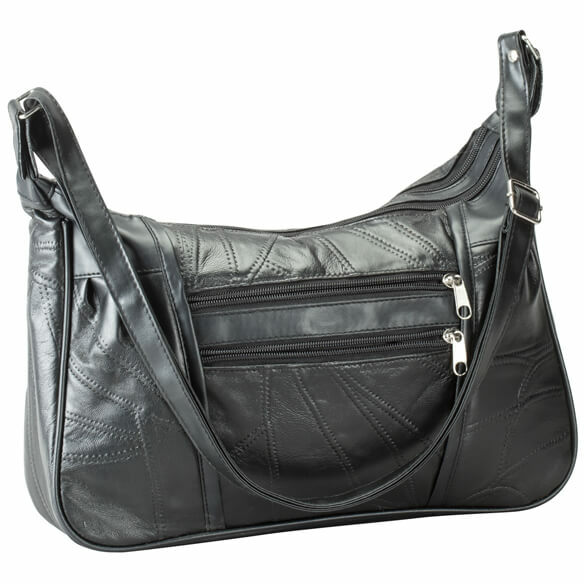 Quality leather purse features 2 zippered compartments and storage, and 3 additional pockets for smaller items. Leather; vinyl/polyester liner. 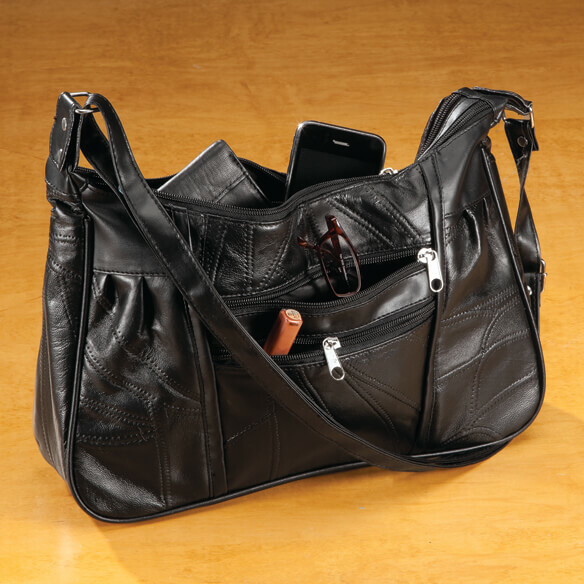 Patch leather handbag is 13" x 8 1/2" x 4" with a 25"-48" adjustable strap. I love the size. It fits my needs perfectly. Needed a basic black handbag,and this looked very nice.It`s leather and is very reasonably priced!